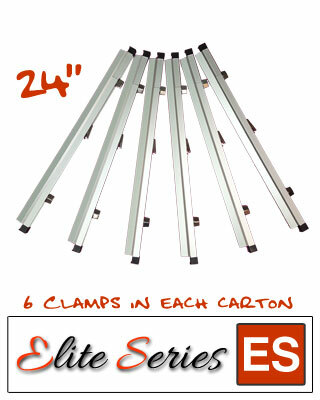 The Elite Series Heavy Duty 24" Blueprint Hanging Clamps are designed and built to exact specifications with higher quality control to insure they are made to last. 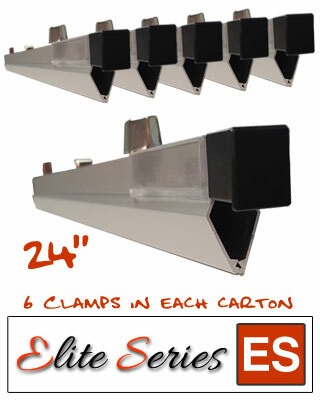 Made of thick aluminum, the Elite Series hanging clamps are the best we carry and sell. Each clamp will hold up to 100 sheets of 20 lb bond paper which is the average size for most construction drawing sets. Each hanging clamp includes metal wing knobs, tee-bolts, expansion springs, plastic ends, and clear label holder. 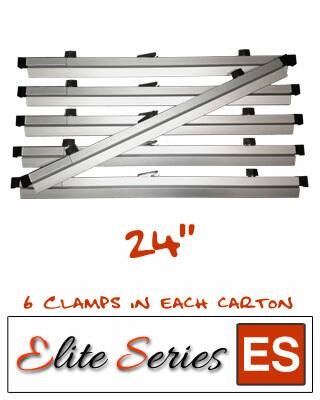 These clamps will last a lifetime and are designed to fit nearly all blueprint stand and racks that hold vertical hanging clamps, including Safco, Mayline, Alvin, Brookside, and Planhold brands. Manufacturers Lifetime Warranty is included with each carton of clamps. Sold 6 Clamps per Carton, with Free Clamp Wrench.